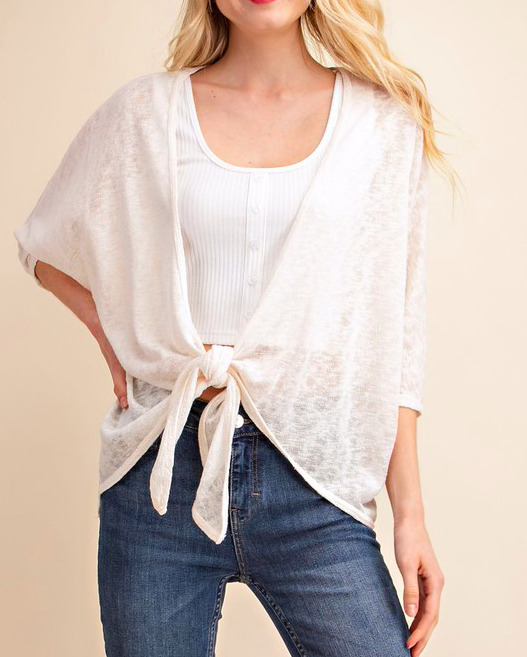 Simple chic tie front kimono style blouse. Toss this on with a pair of light washed ankle length denim jeans and a spaghetti strap camisole, let it fall off your shoulders for a casual, stylish look. Fits a variety of body shapes and sizes.